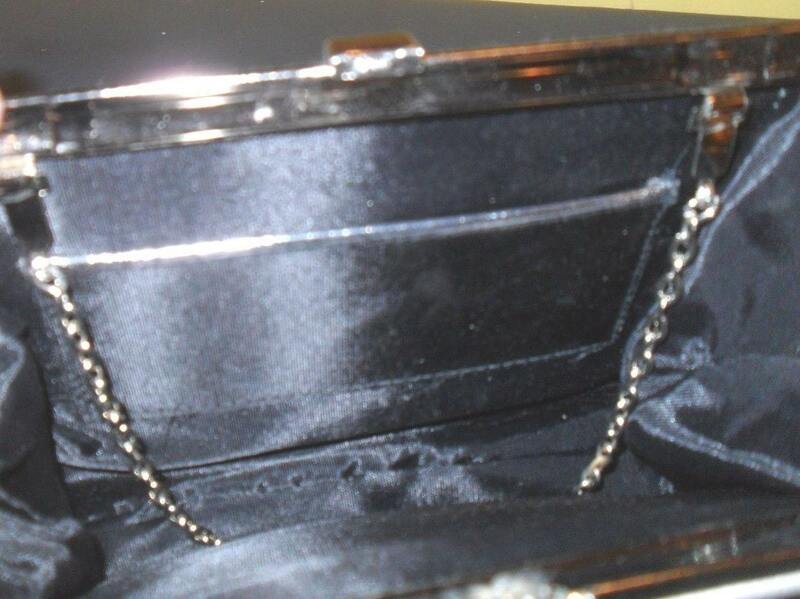 This is a beautiful vintage clutch in excellent condition! Linen cover with a perfect rhinestone clasp. Chain is silver tone with about a five inch drop. Interior is black satin polyester. 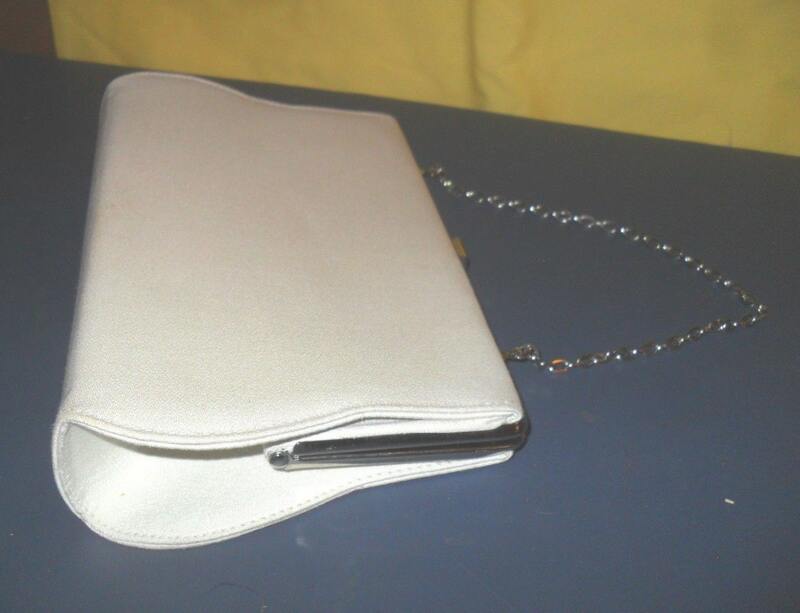 This would be a lovely evening bag or perfect match to a winter or off-white wedding dress! The color in the first picture shows a bit more true. Small smudge on bottom. Wedding ready! Dimensions: 5 inches high; 9 inches long. 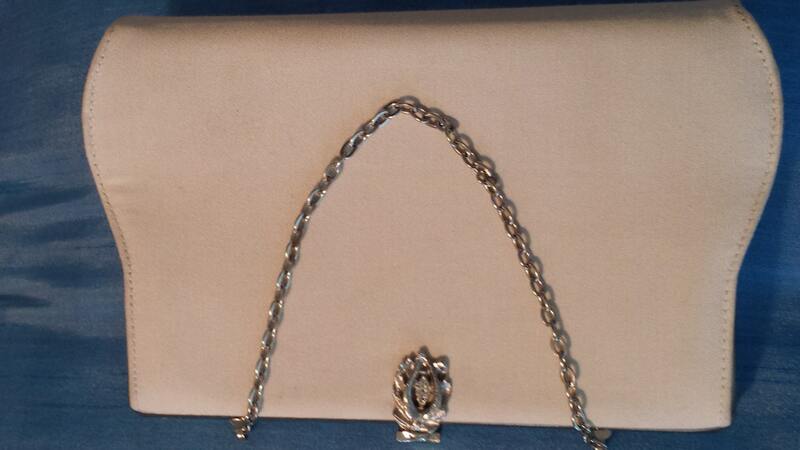 Amazing bag from the 40's!